With these words from Lord Byron’s, “Childe Harold’s Pilgrimage,” marine scientist Callum Roberts at the university of York in England fittingly opens his book, The Ocean of Life: The Fate of Man and the Sea. Today, the oceans are in deep peril with onslaughts from every sector -- land, air and sea -- so much so that not only are species are being killed in unfathomable numbers, but those that survive the onslaught of climate change are gravitating to new habitats. In a plea for the urgency to curtail emissions, Callum writes, “Not for fifty-five million years has there been a disruption of comparable severity to the calamity that lies just a hundred years ahead if we fail to curtail emissions fast. In 2010, President Barack began significant actions to address concerns about the health of our oceans and other bodies of water when he signed an Executive Order establishing a National Policy for the Stewardship of the Ocean, Coasts, and Great Lakes. That Executive Order adopts the Final Recommendations of the Interagency Ocean Policy Task Force and directs Federal agencies to take the appropriate steps to implement them. As part of an “Our Ocean” international conference on sustainable fisheries, marine pollution, and ocean acidification hosted by the US State Department that concluded on 17 June 2014, Secretary of State John Kerry issued a global call to action to protect the oceans and President Obama announced steps that the United States is taking to answer that call. Among them, President Obama announced a commitment to use his authority “to protect some of our most precious marine landscape just like he has for the nation’s mountains and rivers and forests.” In order to meet his commitment, “the Administration will immediately consider how it can expand protections near the Pacific Remote Islands Marine National Monument in the south-central Pacific Ocean, an area which contains some of the most pristine tropical marine environments in the world. 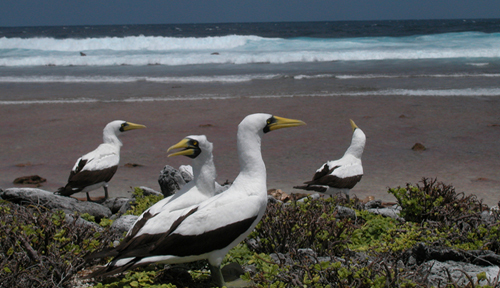 · Meeting diverse coastal needs with regional marine planning. Under the President’s National Ocean Policy, voluntary marine planning bodies are working all over the country to find commonsense ways for the wide range of people and organizations who live, work, and play in the ocean to enjoy the full benefits of its resources. Regional marine plans help balance coastal use issues including fishing, energy, and marine transportation with the interests of communities, ensuring maximum benefits for all. Last week, the Administration announced that the Northeast and Mid-Atlantic regional marine planning bodies will have their plans out the door by the end of the President’s term. This will allow fishing and coastal communities from Maine to Virginia to meet diverse needs and establish priorities for the use of their ocean areas, while making them less vulnerable to economic shocks and the resilience of climate change. · Understanding the impacts of ocean acidification. Today, [17 June 2014] the White House Office of Science and Technology Policy is releasing a white paper on ocean acidification, summarizing current scientific knowledge about this key challenge, its relationship to climate change, and its impacts on society, as well as highlighting key steps the Obama Administration is taking to better understand the problem and potential solutions. · $102 million to build resilience in coastal communities. Yesterday, [16 June 2014] the Department of the Interior announced $102 million in competitive grants funding science-based solutions to restore flood plains and natural barriers, such as marshes and wetlands along the Atlantic Coast. The funded projects will help deliver on the Administration’s Climate Action Plan commitment to make local communities more resilient against future storms. · Bolstering domestic shellfish aquaculture. Federal agencies are completing work on a new roadmap to streamline the permitting process for shellfish aquaculture. The roadmap will help shellfish farmers understand how to secure the permits they need and will help federal agencies identify ways to improve efficiency in the permitting process. By removing barriers in the permitting process, the United States can encourage shellfish farming and help rebalance our seafood trade. Currently, most seafood consumed in the U.S. is imported, resulting in a seafood trade deficit of between $8 and $10 billion a year. Farming more shellfish will also be an economic boon to local communities, creating jobs and investment on our shores. · National Strategic Plan for Federal Aquaculture Research. Aquaculture is an increasingly integral source of safe, nutritious, sustainable seafood for consumers in the United States and worldwide. Today, the interagency National Science & Technology Council’s Committee on Science is releasing a new National Strategic Plan for Federal Aquaculture Research to provide a framework for coordination and collaboration across agencies on research related to this important agricultural domain and to guide Federal agencies going forward as they prioritize their aquaculture-related research and development activities. 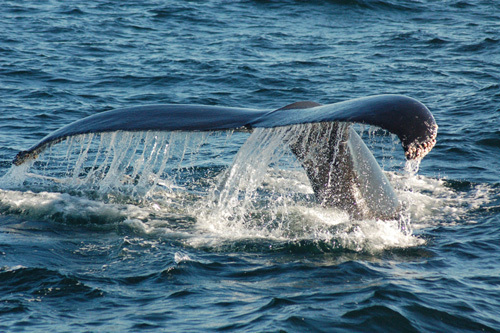 For more information on the Our Ocean conference, visit http://www.state.gov/. 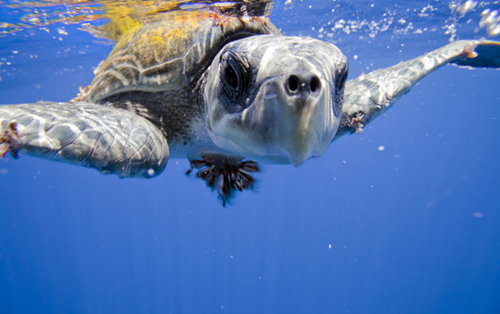 For more information on the President’s National Ocean Policy, visit http://www.whitehouse.gov/administration/eop/oceans. 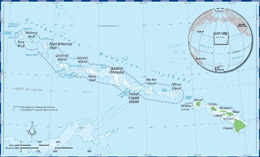 Kiribati Creates World’s Largest Marine Protected Area available at http://www.solutions-site.org/node/300.